Martin Luther King, Jr.; Malcolm X; John F. Kennedy; Robert Kennedy; Gandhi; Abraham Lincoln. . . the list goes on. All of these individuals have been victims of an assassin’s bullet. Now add 14-year-old Malala Yousafzai to that list. Even though Malala’s head wound did not kill her, she is fighting to hang on to life. Even if she survives, she may never fully regain her health or cognitive abilities. Yousufzai was shot by a Taliban gunman because she wanted to go to school. And, because she wanted all the young girls to be able to go to school. “I have a right to an education,” she told CNN. “I have a right to play or to talk…to go to the market. I have a right to speak up.” So too, she said, “do all women in Pakistan.” She advocated for these rights in a series of blog posts that received both local and international attention. The Taliban believes that women have few and limited rights and no need for education. Over the years the Taliban has destroyed 200 girl schools in Pakistan. They have also tried and subsequently beaten and publically humiliated women and girls who sought out education or any form of social freedom. One larger question that transcends this and other acts of violence is: When you kill a person do you also kill their ideas or cause? Jesse Jackson, Sr. was on that balcony in Memphis when Martin Luther King, Jr. was gunned down by a sniper’s bullet. He and the leadership of the Southern Christian Leadership Conference promised that King’s death would not be in vain, and that the cause of black freedom and civil rights would go on. Under the leadership of Ralph Abernathy, it did go on — but at a much slower pace. Many years later, in a private conversation with Rev. Jackson, Abernathy lamented that James Earl Ray&apos;s bullets did not end the Civil Rights movement, but it did slow it down. Jackson felt that Martin Luther King, Jr. wasn’t the movement, but he was the face of the movement. When his face, his energy, his leadership was taken away; the movement didn’t die, but it lost its momentum. 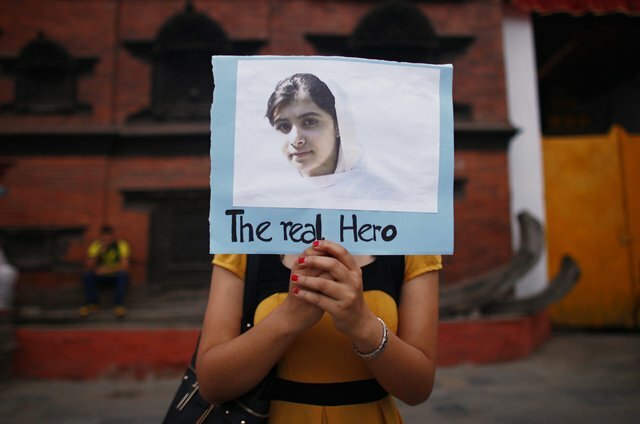 In this case, however, I believe that Malala’s efforts and personal sacrifice will, in time, prove fruitful. The Taliban’s acts of barbarism will hit a tipping point. The people of Pakistan, and perhaps all of the Muslim world, will finally have endured enough. Real change, real progress will occur. But sadly, Malala’s wounds will not be the last sacrifice for her cause will have to endure. You can kill the messenger, it&apos;s true. But, I want to believe that there are not enough bullets in the world to kill the message whose time has come.